New York: Harcourt Brace & World, Inc., 1962. A beautiful, tight, clean copy of this, the author's fifth book; 308pp. Mr. Dennis is noted for his early work -- "Auntie Mame". . First Edition. Hard Cover. Fine/Fine. MA: Houghton Mifflin Co., 1946. Dust jacket shows light scuffing to spine ends. The first edition of this novel and basis for the movie of the same name. Unusually tight, clean copy.. First Edition. Hard Cover. Near Fine/Near Fine. NY: Viking, 1993. The first edition of the author's first book. Tiny remainder dot to top edge. Overall, a crisp, clean unread copy.. First Edition. Hard Cover. Near Fine/Near Fine. NY: Delta, 1988. Bound in decorated wraps. This is the first edition of the author's first book. Barrett recently won the National Book Award for "Ship Fever". It appears to be easier to find the Advance Reader's Copy of this book, than this first edition.. First Edition. Soft Cover. Fine/No Jacket. NY: Doubleday, 1967. Dust jacket shows some wear to extremes, but is overall bright and whole. This copy has a lengthy INSCRIPTION and is SIGNED and DATED by the author to a book reviewer in Trenton. She has made some marginal notes alongside the noted poem.. First Edition. Hard Cover. VG+/VG+. MN: Milkweed, 1990. Bound in glossy wraps. The first edition of the author's first book. This book was only published as a paperback original. Very light edgewear but overall tight and clean. 193 pp.. First Edition. Soft Cover. VG++/No Jacket. NY: Grossman, 1976. Housed in a near fine dustwrapper. Overall, a very nice copy of the first edition of the author's first book.. First Edition. Hard Cover. Near Fine/Near Fine. NY: Knopf, 1993. The first edition of this title (the author's seventh book. By the author of "How German It Is".. First Edition. Hard Cover. Near Fine/Near Fine. NY: Dial Press, 1998. The first edition of this, the author's highly-acclaimed third book which was shortlisted for the National Book Award. This copy is SIGNED on the publisher's bookplate affixed to the front free endpaper.. Signed By Author. First Edition. Hard Cover. Fine/Fine. 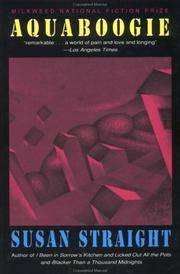 New York, NY, U.S.A.: W. W. Norton & Company, 1992. A tight, clean copy of the first edition of the author's first book. 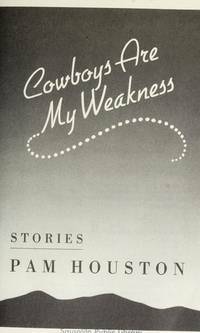 A highly acclaimed book of 12 short stories by Ms. Houston. . First Edition. Hard Cover. Fine/Fine. Boston: Little, Brown, 1992. The first U.S. edition of the British author's first book to be published in the U.S. Preceeded by two other novels that were only published in the UK. Faulks continues to receive great reviews for his writing. Remainder mark to bottom edge.. First Edition. Hard Cover. Near Fine/Near Fine. CA: Harcourt Brace & World, 1985. The first edition of the author's 1st novel (third book). Inscribed and Signed by the author on the half title page (obviously to another writer) Crisp, clean copy of this notable Viet Nam novel.. Inscribed and Signed. First Edition. Hard Cover. Near Fine/Near Fine.